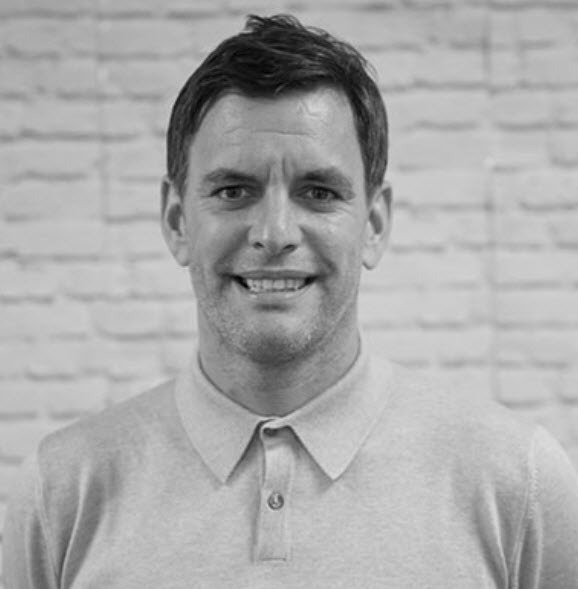 “As an industry, we are undoubtedly going to be competing with the tech giants for the best digital talent,” thinks Luke Smith, Co-founder and CEO of digital marketing agency Croud. Croud combines a worldwide network of freelance digital specialists (called “Croudies”) with office-based specialists to provide the right skills at the right time to get the best results for their clients. How has the agency grown over the last seven years? Since my co-founder and I formed Croud in 2011, we have been able to deliver consistent year-on-year growth in excess of 50%. These numbers not only highlight our track record of increased revenues, but also our new client wins and our international expansion. Essentially, our success as an agency is built on the ability to be agile and respond to changing client needs quickly. This is largely thanks to our proprietary technology and our network of digital specialists, of which there are now over 1,600 who speak 77 different languages. What’s more, the fact that we were listed in The Financial Times’ list of the top 1,000 fastest-growing companies in Europe and in The Sunday Times Tech Track 100 is the ultimate recognition of everyone’s hard work and dedication to grow the business and help our clients evolve. How do you use automation to streamline your business? At Croud our proprietary technology platform Croud Control is at the centre of everything we do. We build tools that allow us to automate, time-intensive tasks, allowing us to focus the majority of our time on driving transformative results for our clients. Early on, we had a very clear vision for the agency; to develop innovative technology that will streamline our work and make us more efficient than our competition. To realise results for brands, we knew we needed to be able to manage, optimise and report on vast amounts of data at pace. Over the last seven years, this need has increased. Importantly, however, this innovation hasn’t decreased our headcount, but rather it has meant our team now has more time to dedicate to delivering exceptional service and to making clients happier. What are the benefits of having access to a large network of freelancers? Digital marketing is a 365-day, 24/7 business. There is no silver bullet for delivering industry-leading client service; however, the rigid 9-5, office-based model is no longer the answer. By developing and nurturing our network of Croudies, we’ve been able to reduce our fixed costs of offices and be much more flexible in applying resource as required in every conceivable digital discipline. It’s our belief that our model allows us to deliver up to twice the output of our competitors. In order to create truly global digital campaigns that are built on local expertise, a network like ours is a very effective means of delivering this. Though we only have bricks and mortar offices in four cities internationally, we have access to digital experts in over 100 markets. Not only does this mean our clients benefit from an always-on service, they also have access to the best digital specialist for each micro-job, something that just isn’t feasible when constrained by traditional agency structures. These individuals help us to provide a first-rate service in real time that other agencies will struggle to compete with. How do you ensure quality and innovation across the network of Croudies? We knew we needed a platform and robust processes in place to allow us to seamlessly manage our growing network of digital specialists. This is why we invested significant sums to build Croud Control. It allows us to communicate with, brief, quality assess, pay and train our network of digital specialists. Every Croudie has to pass an assessment exam (in their given discipline) even to get onto Croud Control. We have a 7% pass rate. There is then ongoing assessment, Q&A and evaluation. We conduct surveys amongst all our Croudies twice a year to find out any specific pain points, as well as carrying out 1-to-1 interviews to gather more in-depth feedback. In-house action plans are then designed based on this information. In terms of maintaining a unified digital presence, our network has 24/7 access to a self-service help centre. We treat Croudies very much as members of our team. We distribute a regular email newsletter in the form of a digital digest with relevant industry news and company updates. We also operate an open house policy that gives Croudies access to our office facilities whenever they need them. What impact will machine learning/AI have on digital marketing? Machine Learning and AI are the hottest of topics right now. As an industry we very much depend upon the insights data gives us for success. But, as humans, we would ultimately be foolish to try and compete with robots in certain areas. What the best digital marketers will do is use this technology to optimise and use vast data sets to their advantage in a short period of time. We need to use technology and machine learning to enhance the human resources at our disposal. I’m fully supportive of innovation in automation for these purposes. However, the automation of processes simply isn’t enough. It simply isn’t able to take into consideration brand tone and personality, nor is it quick enough to react to all the changes in the market. How would a robot react to, and capitalise on a competitor’s TV campaign, for example? Humans provide the creativity and programme machines to meet their specific needs. If everything was purely machine-led, for a retailer, for example, all websites and owned content would look the same and there wouldn’t be any brand differentiation. Ultimately, developments in AI and machine learning are overwhelmingly important to our industry. Though we shouldn’t lose sight of the fact that mankind will be required throughout the marketing process for a long time to come. The human touch remains vital. What are the other big trends in digital? Both the in-housing of marketing budgets and the pipeline of talent are two of the biggest trends – and issues! – staring us in the face today. There is a pendulum shift, with an increasing number of in-house teams taking on more digital marketing and media buying themselves, rather than relying on agency teams. Software giant Adobe is predicting that 62% of brands will bring their media-buying in-house by 2022. Though that might be a more extreme prediction, the in-housing of briefs is certainly something that agencies must be mindful of and carefully consider their response to. In my opinion, it shouldn’t be ignored, but ultimately, it’s not an us and them power struggle. Agencies should be working to find ways to support in-house teams in other ways, building new working relationships with brands. We are also in an ongoing struggle to prevent our talent pool from drying up. The digital skills required for marketing are becoming increasingly complex – as an industry, we are undoubtedly going to be competing with the tech giants for the best digital talent and right now, I’m not sure marketing would be the preferred choice for the world’s best tech talent. What we need to do now is take a more holistic view of the supply and demand of talent. Our shift from a city-centric model, for instance, has allowed us to source talent from up and down the country, and even overseas. We need to make working in agencies more compelling – through nurturing and developing talent, making the work itself appealing and of course remuneration. Technology can play a big part in this. How we incentivise staff is also important, as are option schemes enabling employees to own parts of a business, which is still very rare.